21st November 2018 Team England have revealed its new look and feel at the proposed site of the Birmingham 2022 Athlete's Village. Five members of Team England, who represented the nation at the 2018 Gold Coast Commonwealth Games, alongside Chief Executive, Paul Blanchard, unveiled Team England's new logo on the proposed site that will aim to host 6,500 athletes and officials at the 2022 Commonwealth Games. As part of this re-brand, Commonwealth Games England - working with award-winning creative agency Matta - consulted a number of its athletes that competed at the Glasgow 2014 and Gold Coast 2018 Commonwealth Games, to establish their understanding of Team England and its proposed position. At the proposed site of the future Athletes' Village, Commonwealth Games England Chief Executive, Paul Blanchard, was joined by Birmingham Artistic Gymnastics star, Dom Cunningham, hockey star Lily Owsley, double Commonwealth S14 swimming Champion, Tom Hamer, Birmingham-born Rhythmic Gymnast, Mimi Cesar and Commonwealth Silver medal winning basketball player, Siobhan Prior. Hamer, Cunningham and Prior also attended Commonwealth Games England's Annual General Meeting, which took place at the ICC in Birmingham and saw a number of panel discussions with Team England athletes and officials. Prior, Hamer and Blanchard were joined by Team England's Head Doctor, Dr Mike Rossiter, on a panel discussing Team England at the 2018 Commonwealth Games - reflecting on the nation's successful medal haul, including 45 Gold medals, as well as the achievement of taking the largest ever sporting team to leave the UK for an International Games. With Birmingham set to host the 2022 edition of the Commonwealth Games in Birmingham, gymnast Dom Cunningham, who came away from the Gold Coast with two medals, formed part of a Birmingham 2022 focused panel. He sat alongside Commonwealth Games England Chairman, Ian Metcalfe, Interim CEO for Birmingham 2022, Ian Reid, Paul Oldfield from the Department of Digital, Culture, Media & Sport and Leader of Birmingham City Council, Ian Ward. 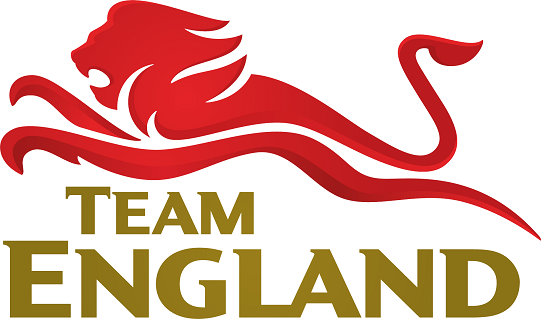 "Team England is a brand that the nation can get behind - it is diverse, united and representative of England. With a home Games on the horizon, and after a hugely successful 2018 Games, now is the right time to refresh our brand as we begin preparations for Birmingham 2022." "Birmingham is my home town, and England is my nation - so to be able to represent Team England at Birmingham 2022 will be an incredible honour. I am very excited to be here today, where hopefully I will be in less than four years' time, wearing this logo and getting the chance to compete for Team England in Birmingham, in front of my home crowd."